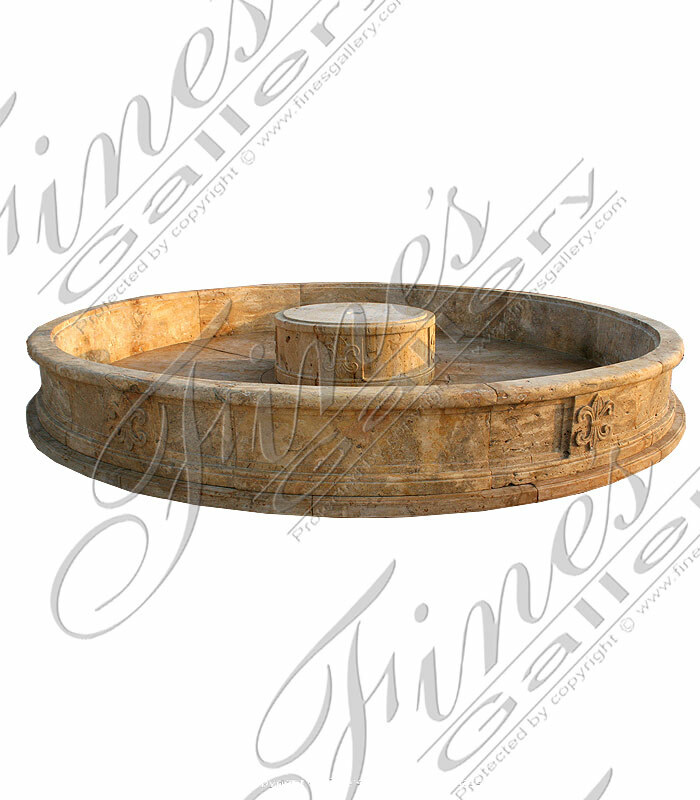 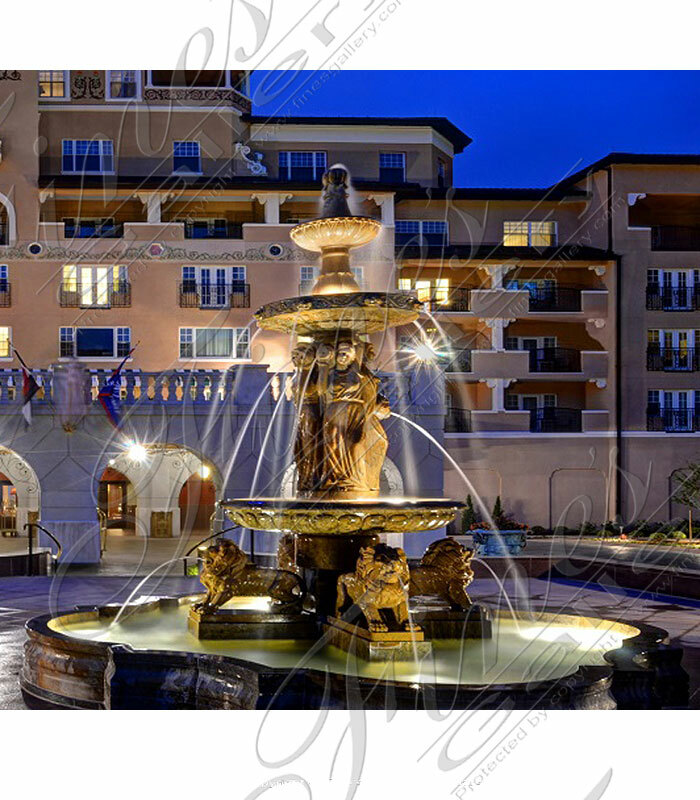 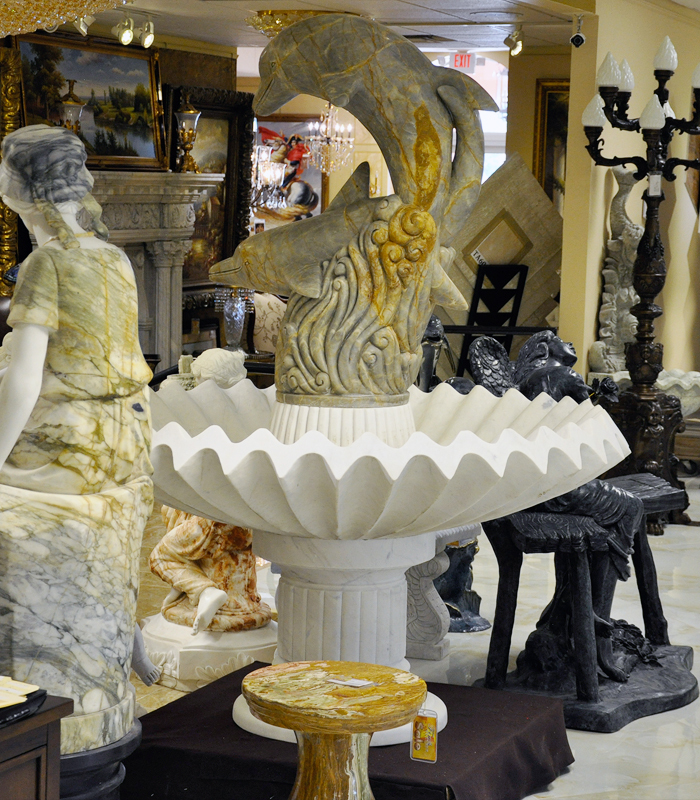 This stunning Tuscany Gardens Travertine Fountain is an extra large fountain feature at over 16 feet in diameter. 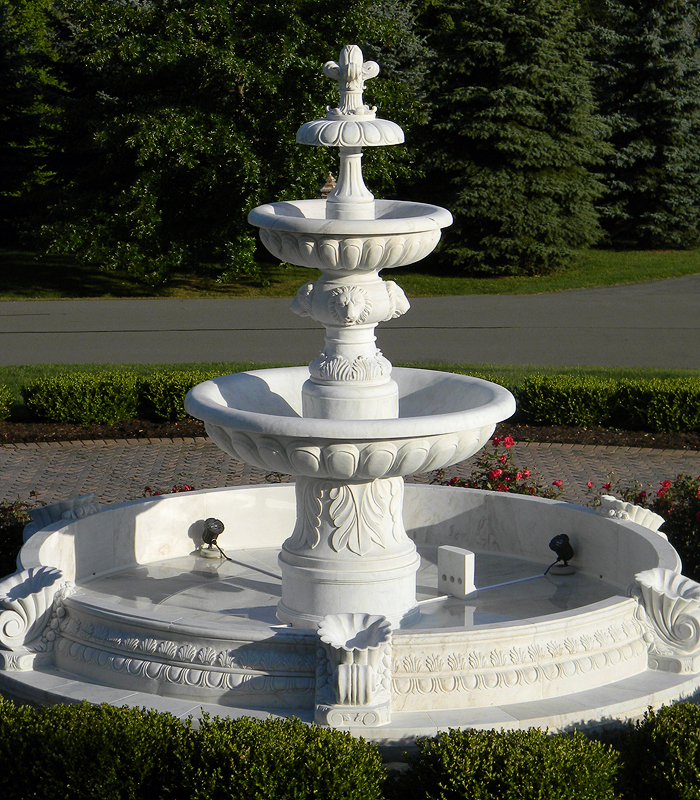 The massive three tiered pedestal portion of this fountain provides a lavish water flow. 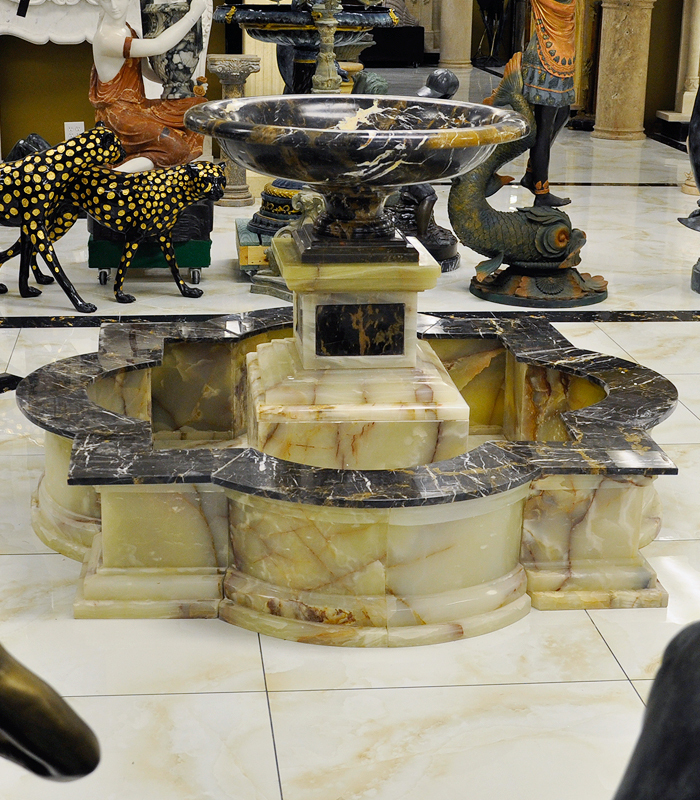 Available in marble and granite nationwide. 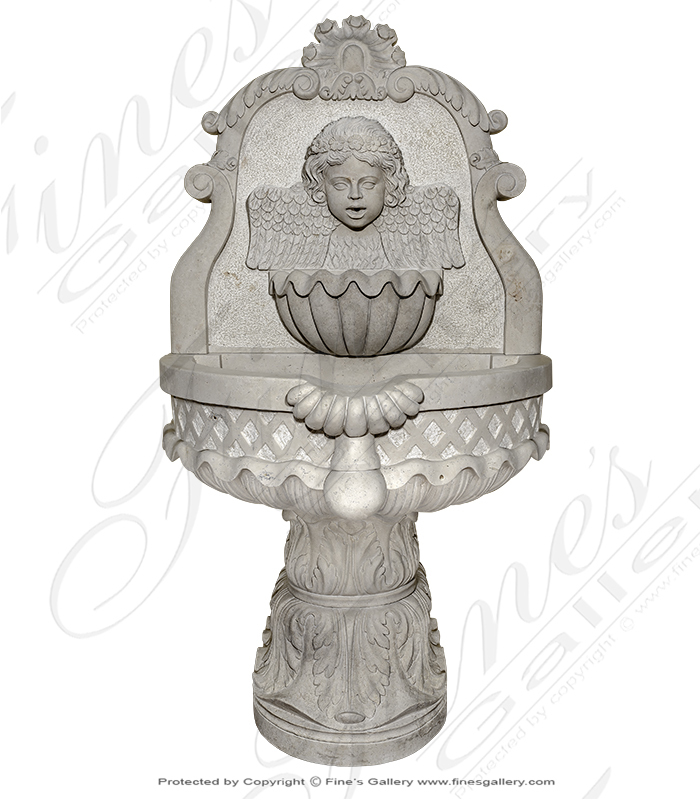 Venice Peach Marble Courtyard Fountain. 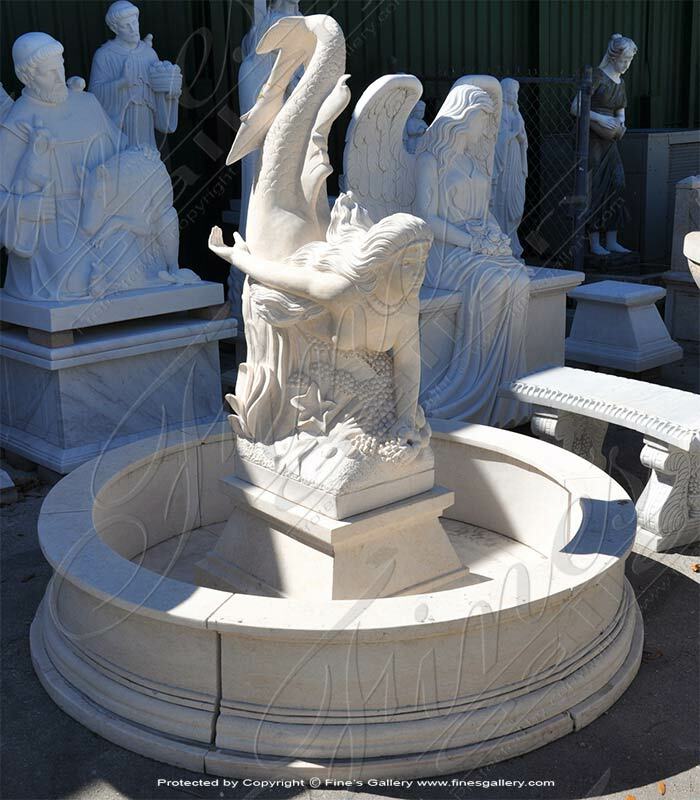 An ultra rich and luxurious hand carved marble feature perfect for upscale motor court application. 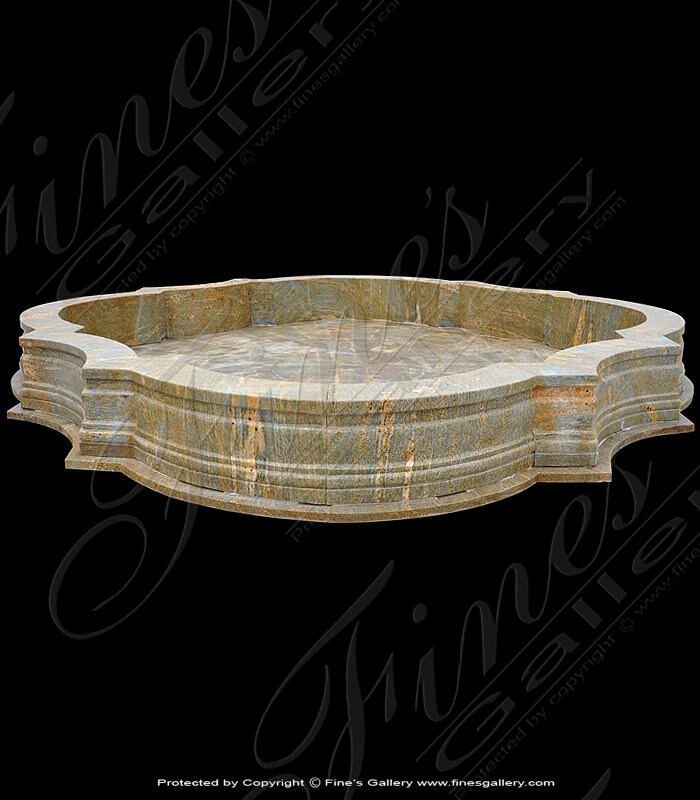 The soft peach color and gray veins meshes excellent with a muted gray color scheme. 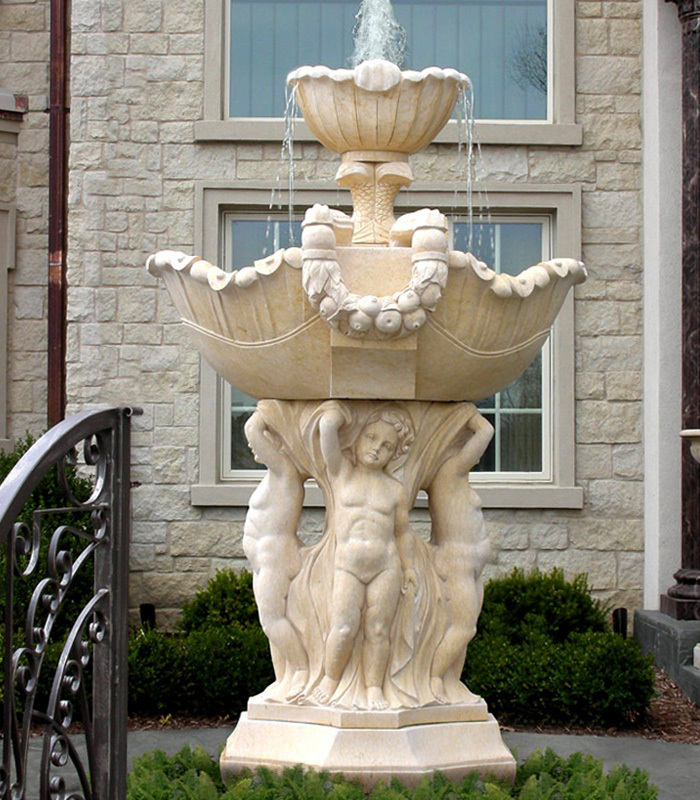 A square shaped Travertine Fountain with Planters Featuring four bronze lion heads, a two tiered center piece and four urns. 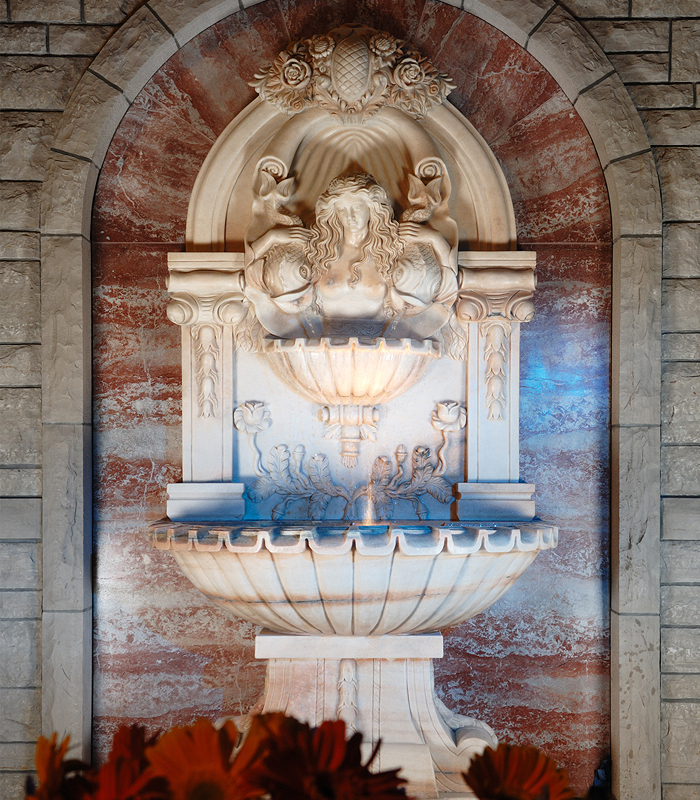 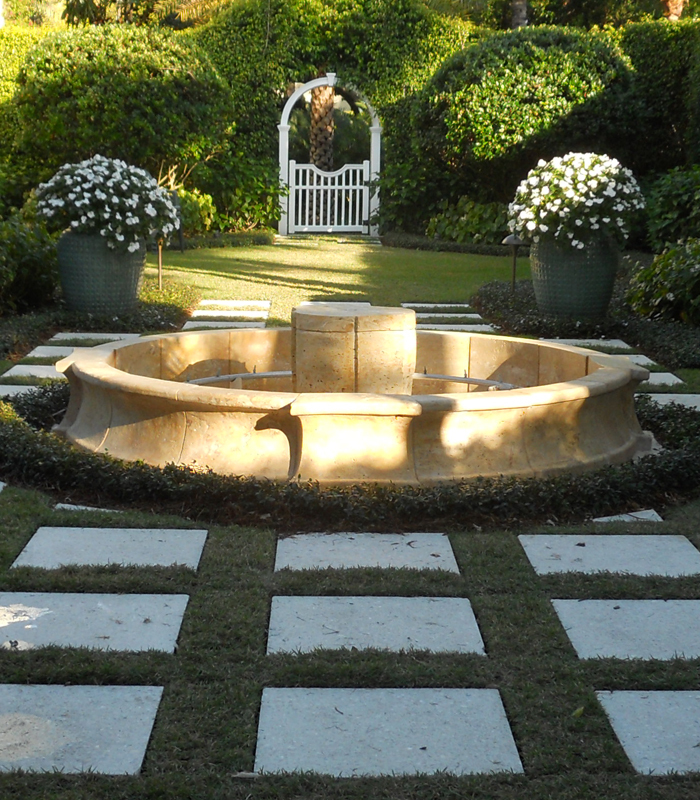 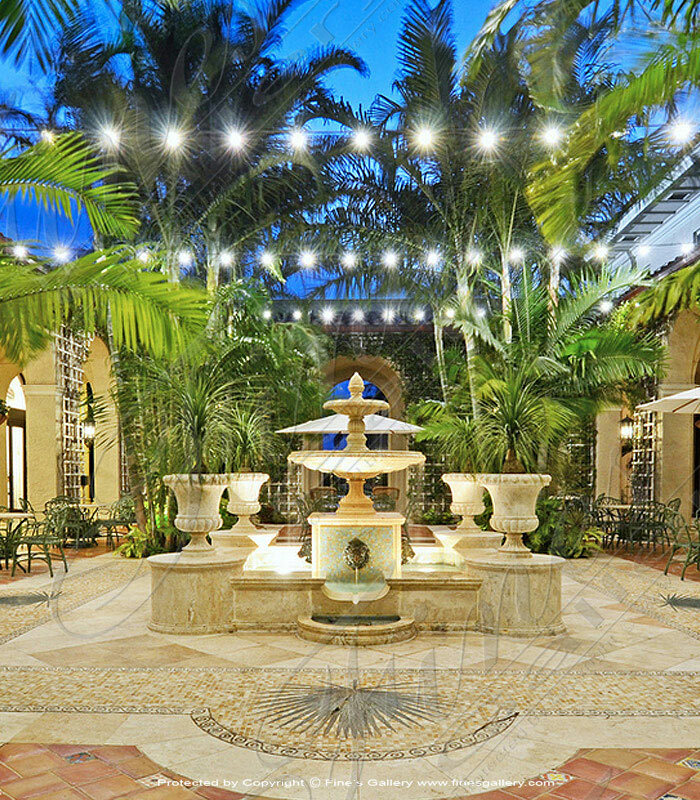 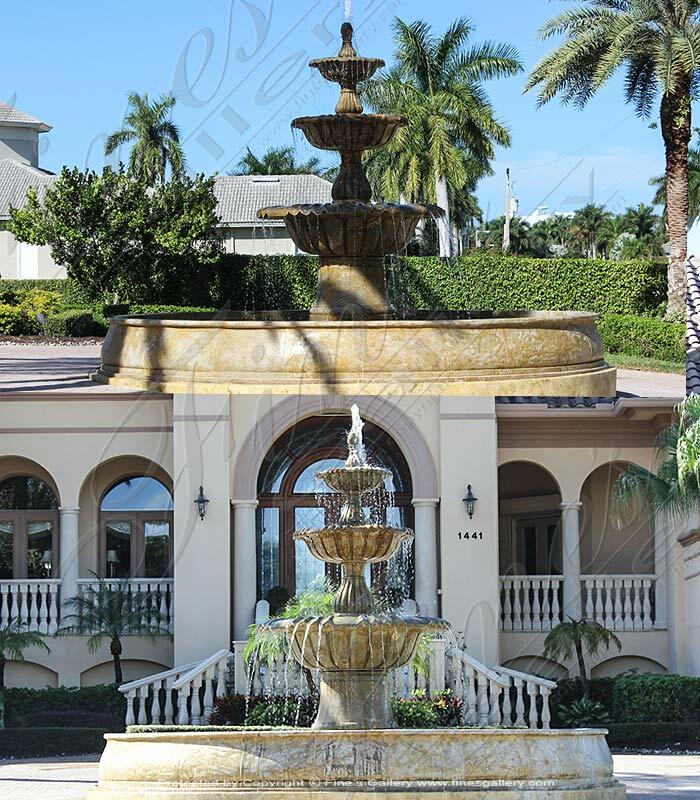 This fountain was custom designed by Fine's Gallery and installed in an infamous Breakers hotel of Palm Beach. 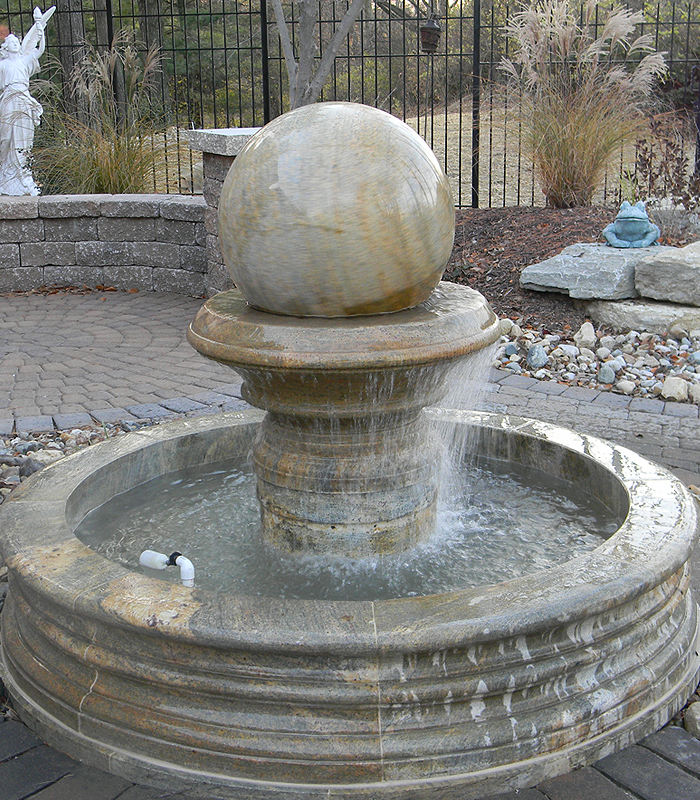 A solid granite fountain featuring two tiers each with grooved for a unique water fall effect. 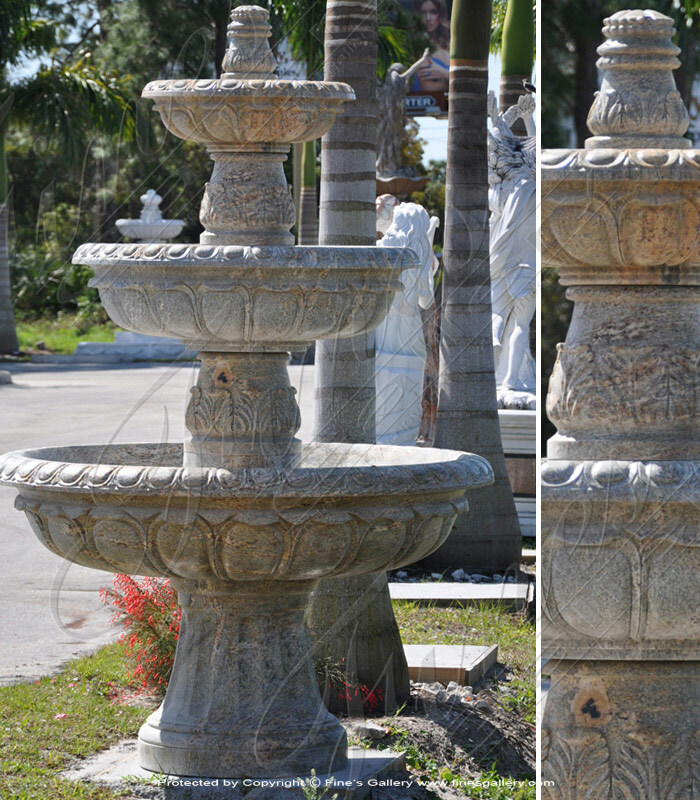 The finial and support bases have been sandblasted providing a contrasted look and feel. 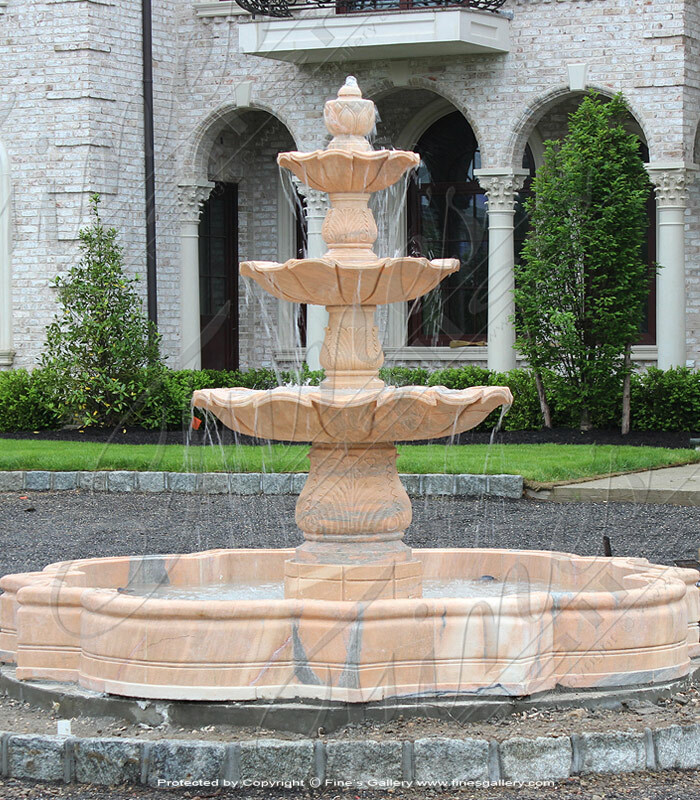 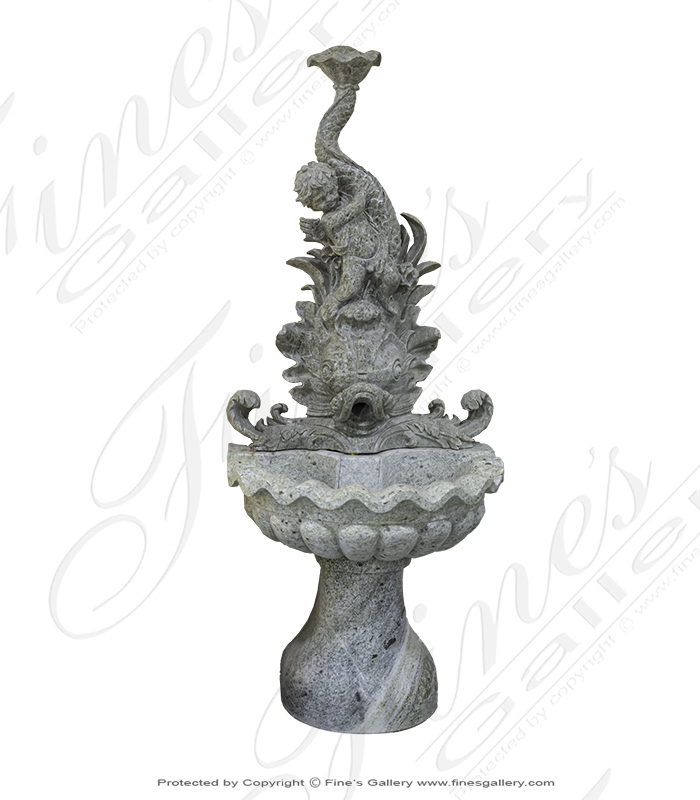 A quatrefoil shaped one tiered granite fountain carved in an earth toned stone. 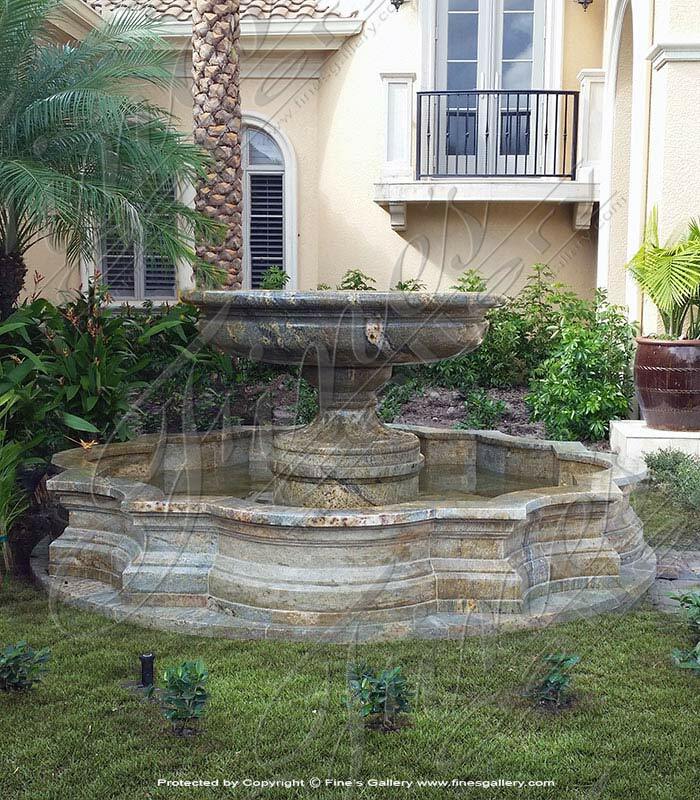 Available exactly as shown or customize to your size and design requirements. 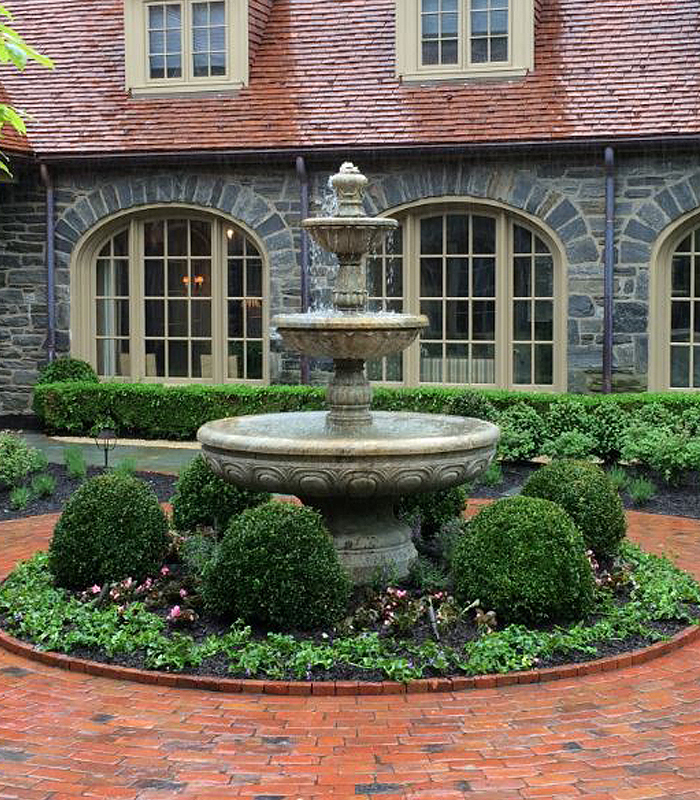 Natural granite is ideal for any exterior application. 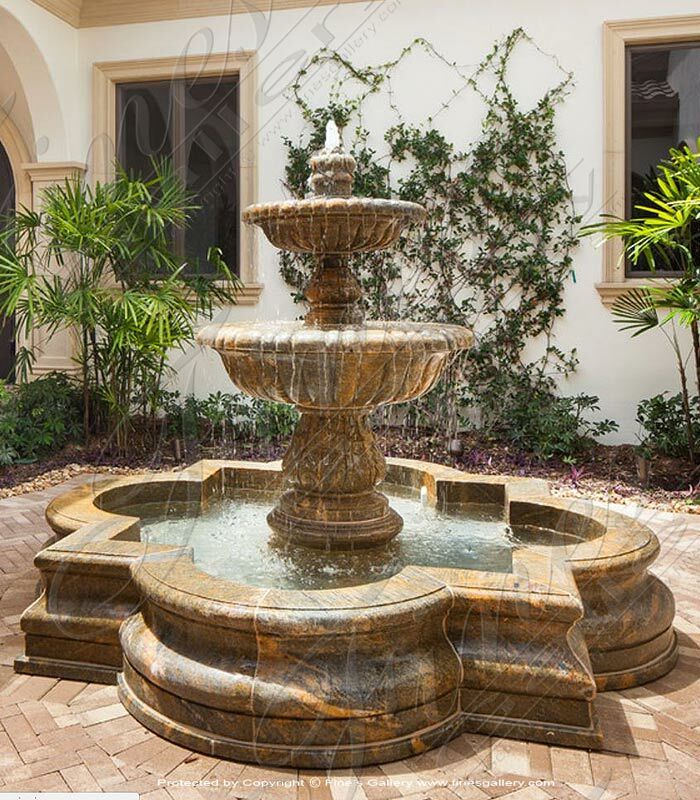 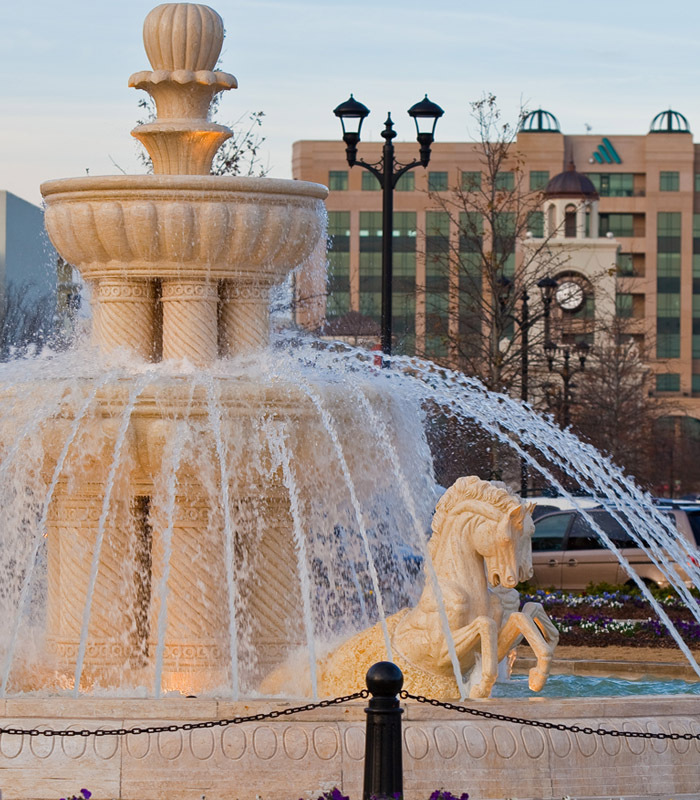 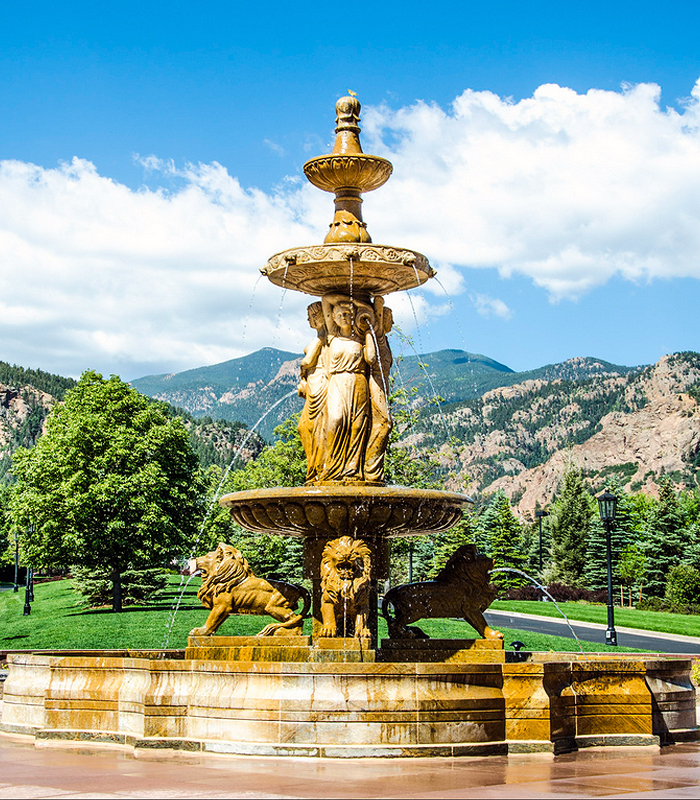 This impressive fountain measures 20 feet in diameter by 13 and a half feet tall. 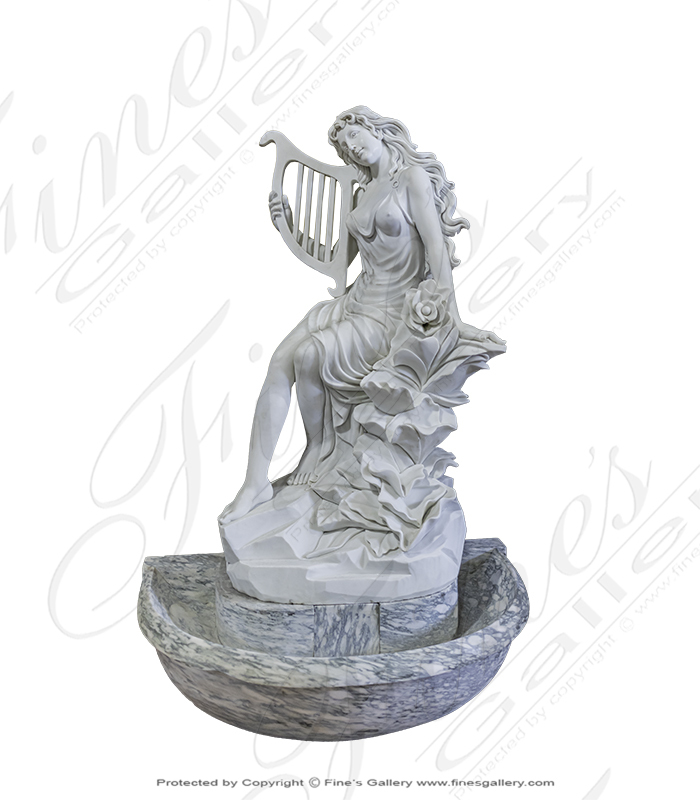 This has been carved from solid granite. 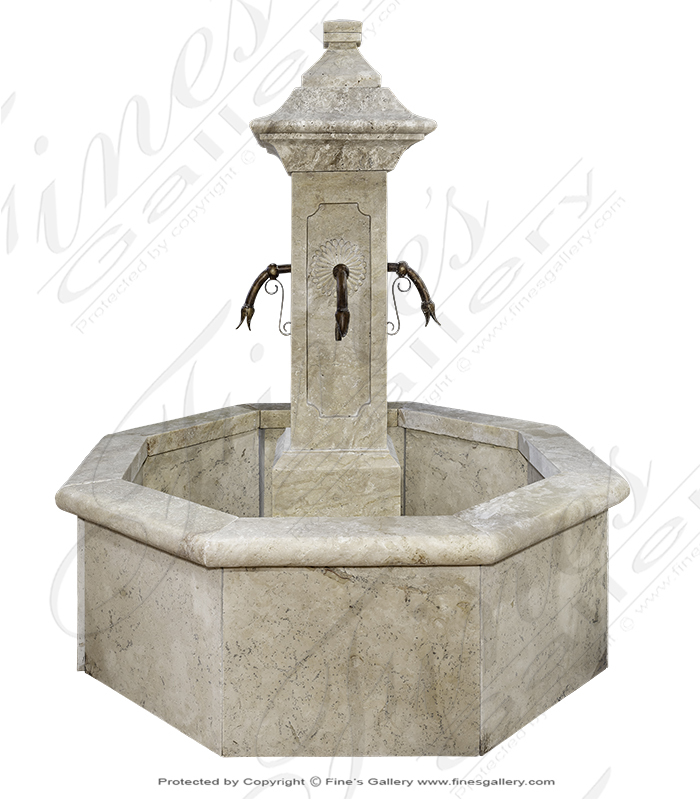 This was custom made according to our customers size & design specifications. 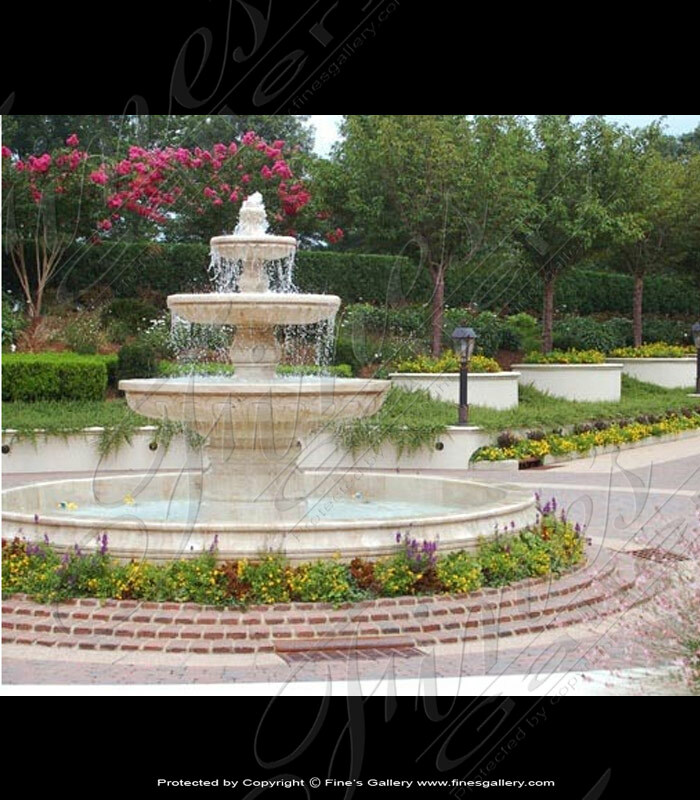 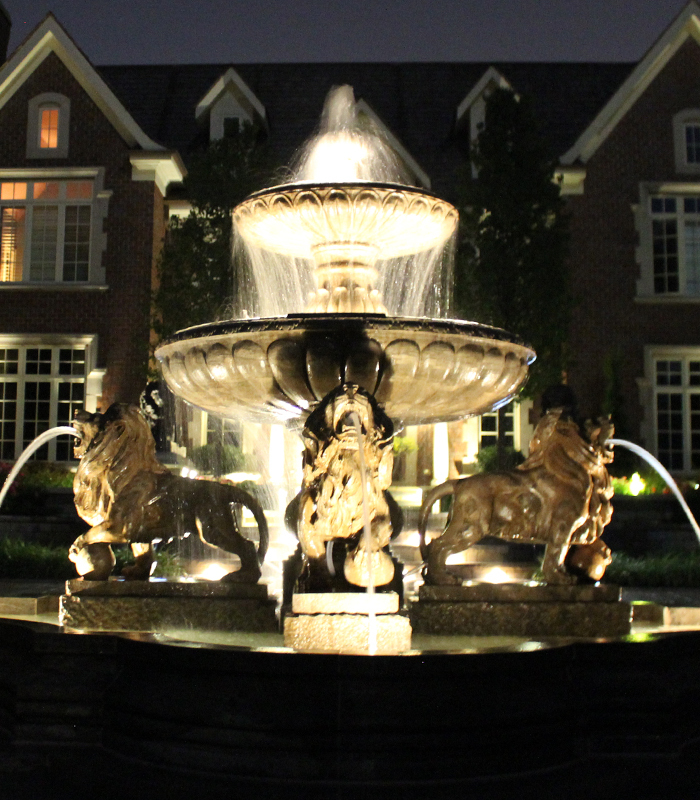 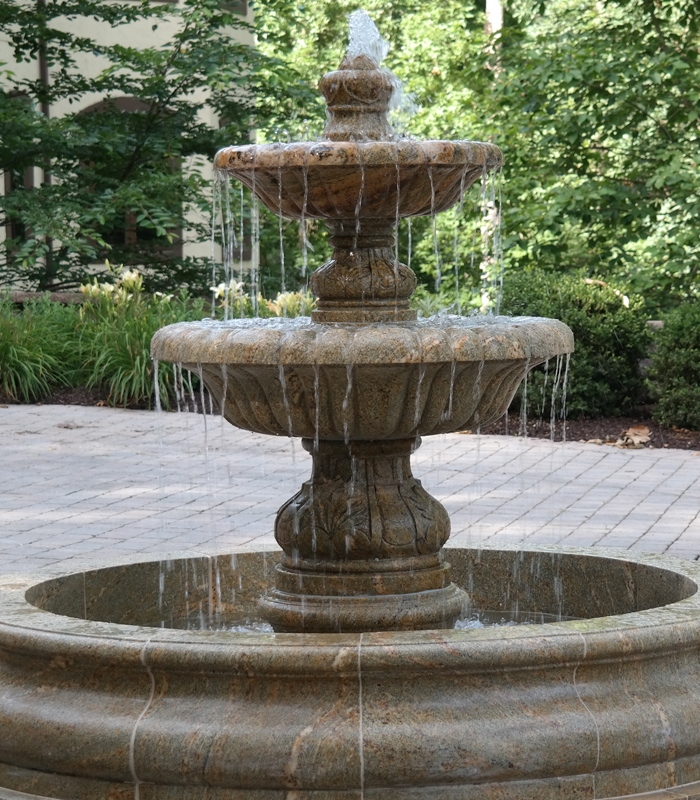 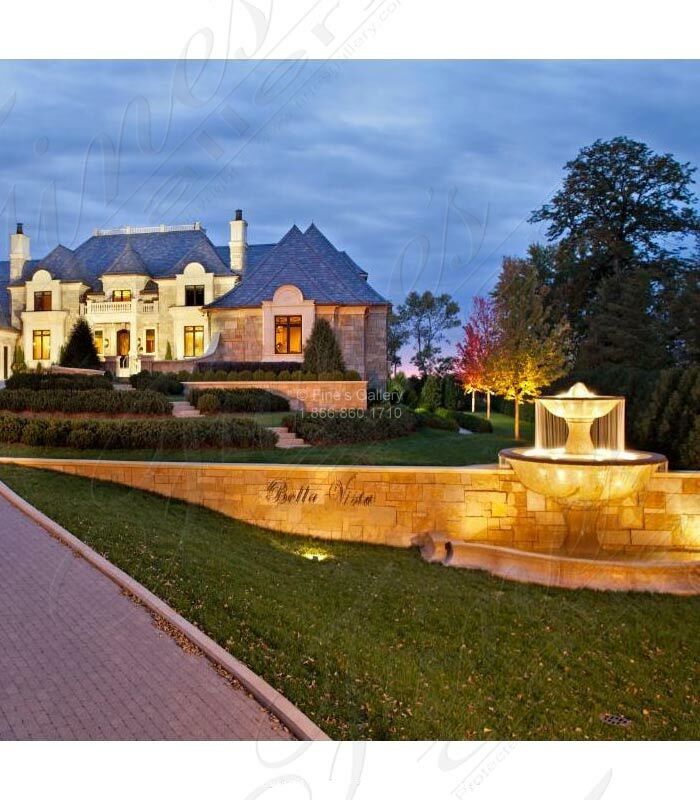 Contact us to discuss your dream fountain.